Chris Landreth’s 2004 short Ryan threw the spotlight once again on Canadian animator Ryan Larkin, an artist whose short movies Walking (1969) and Street Musique (1972) were nominated for Academy Awards. Considered by many the golden boy of Canadian animation, Ryan’s life soon took a disastrous detour. Addicted to drugs and alcohol, he abruptly lost everything, and by the late ‘70s was living on the streets of Montreal, begging for change. Thanks to Landreth’s film, Ryan Larkin was given a second chance to create his art, the result of which is 2008’s Spare Change, his first animated short in over 30 years. Tragically, it would also be his last; Ryan Larkin died of lung cancer in 2007 before completing Spare Change (it was finished by his co-producer, musician Laurie Gordon). Spare Change begins with various scenes detailing Ryan’s experiences on the streets, including a run-in with some obnoxious teens and a journey to the pearly gates, where he comes face-to-face with St. Peter himself (who orders Ryan to beg for change in hell). Shortly after this, Spare Change shifts gears, becoming a music video of sorts for Laurie Gordon’s band, Chiwawa, featuring their song "Do It for Me", which plays over snippets of Larkin’s earlier animations and drawings. 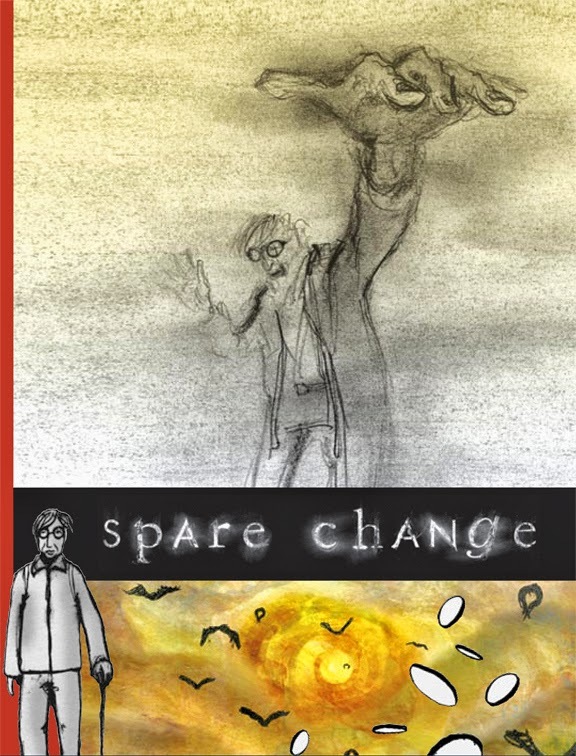 The opening moments of Spare Change are absolutely electrifying, with Larkin himself appearing as the main character. At one point, he's approached by an acquaintance of his, a street person who asks to borrow $5 (Ryan chastises the man for hitting a fellow “bum” up for money). The animation in this sequence, and indeed through much of the film, is simplistic, yet at the same time bursting with character. Alas, the same cannot be said for the Chiwawa song that dominates the movie’s second half, an uninspired tune that’s a poor compliment to Larkin’s unique vision. Still, I suppose I shouldn’t complain. Considering what Ryan Larkin went through, the fact that Spare Change exists at all is something of a minor miracle.